In 2015 Influencer Marketing began to emerge as one of the marketing strategies clearly delivering the highest impact and return. A recent McKinsey report quoted that social recommendations induced an incredible 26 percent of consumer purchases on average across all product categories. Their research showed that a small number of active influencers accounted for a disproportionate share of total recommendations. According to RhythmOne, on average advertisers received $9.60 for every $1 spent in EMV (Earned Media Value) on Influencer Marketing programmes in the first half of 2015. This represented an increase of 1.4x over the company’s full-year 2014 numbers. In 2016 we expect brands to formalise their influencer marketing processes so they can be scaled and optimised for maximum impact. Looking at the evolution of the practice amongst our clients and the evident maturation of the market, we have identified nine significant developments that we anticipate in influencer marketing this year. Statistics company Statista anticipates that influencer marketing budgets will increase in 2016. 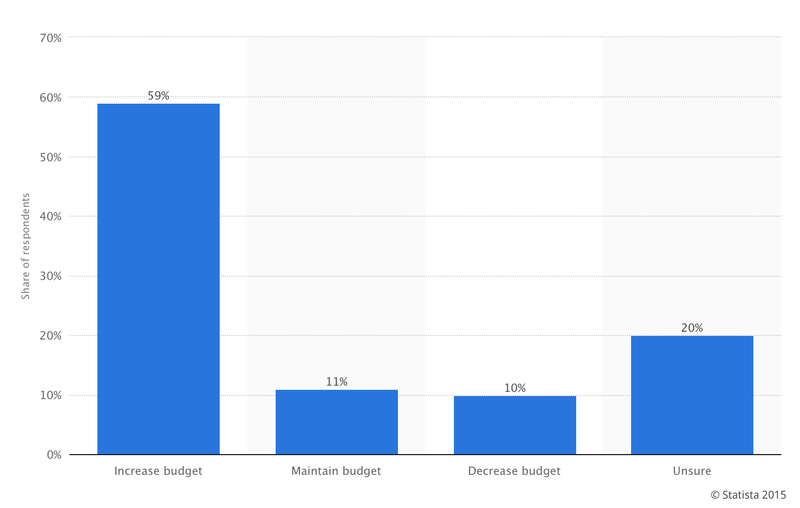 Their study of marketing professionals in the US in 2015 showed that 59 percent of respondents said they were planning to increase their budgets devoted to influence marketing in the following 12 months. The practice of Influencer Marketing is evolving from its preliminary exploratory or pilot stages to be recognised now as a solid and strategic marketing investment. We are seeing more and more CMOs getting involved with designing and implementing influencer strategies that are integrated across a broad set of corporate functions and with far reaching impact across a growing number of corporate objectives. David Beebe, VP of Global Creative and Content Marketing from Marriott Intl. highlighted the importance of strategic influencer marketing and forward-thinker and former Philips ASEAN’s CMO, Damian Cummings, took the lead in creating the most unique version of a command centre combining social monitoring and content creation around live conversations. 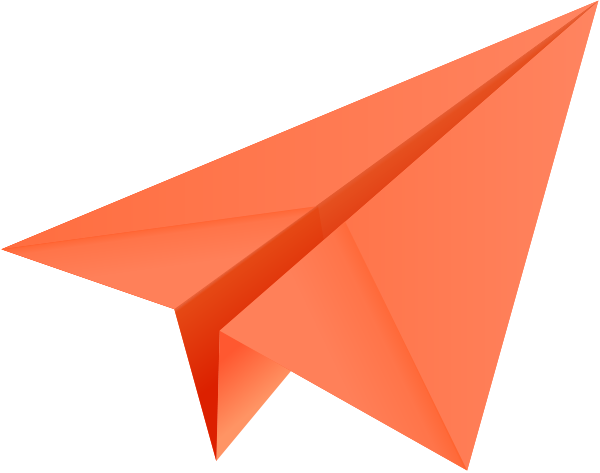 What we are witnessing with our clients at Traackr is that the influencer marketing practice is evolving from local programmes into global strategies with ‘glocal’ activation. This means more and more companies are designing strategies at the global level for localisation according to local market priorities. Our report with Lewis PR on influencer marketing in the B2B sector in EMEA highlighted that of those with an influencer programme, 52% were managed regionally and 42% were managed globally. Even global programmes rely heavily on local organisations for execution, as it is crucial to develop and manage relationships locally and within local communities. Marketers also try to maintain a balance of global influencers vs. local influencers within the program. Brands are now starting to recognise the value of working with smaller and more niche ‘micro’ influencers rather than celebrity influencers to generate real engagement and resonance within targeted communities. Where the latter provides for greater reach, brands are waking up to the fact that this doesn’t always deliver the desired impact and targeting they seek. “An influencer with a smaller audience can be just as powerful as someone with a bigger audience. We’re in the business to create opportunities for people to share and start conversations and we find that micro influencers often have more passionate audiences than celebrity influencers have.”-Susannah Costello, VP of Global Brand at Visit Florida. Most advanced and experienced influencer marketers build strong measurement frameworks and data sets around their practice. This is how Orange France launched their connected home solution, Homelive, and successfully entered a completely new market for the brand. 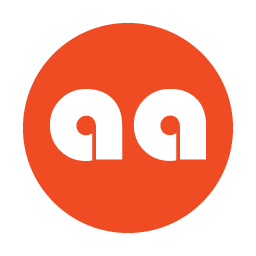 Help measure the success in gaining awareness and developing relationships with the target influencers. Help measure the impact the engagement of influencers is having in generating awareness and recognition among the broader target audience. Help measure the impact on the organisation in terms of leads and sales. Want the details? Learn exactly how to analyze the output, outcome and busienss results of your influencer marketing campaigns. One of the most interesting aspects of influencer marketing touches on an increasing number of stakeholders, and consequently, functions throughout the organisation. 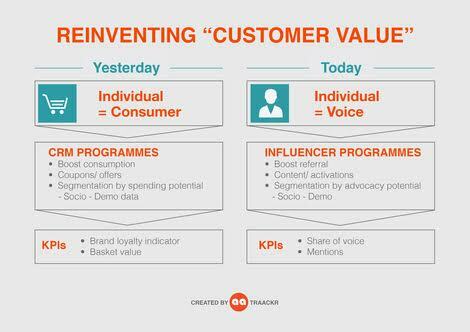 In 2015 the evolution of cross-functional influencer programmes was initiated within marketing departments, as influencer strategies started to be identified across corporate communications, social media marketing, performance marketing, and CRM. IRM has sometimes been described as the ‘CRM of the Marketer’ but while CRM programs are built around a brand’s existing customers and prospects, IRM programmes target relevant brand influencers. IRM programmes aim to increase the positive mentions of a brand among select opinion leaders, driving brand visibility and advocacy levels. It is not their key objective to turn influencers into customers, as the value of an influencer to a brand is not their wallet but their voice and their peer-to-peer influence and word-of-mouth power. While CRM teams have built highly scaled and automated engagement programs, IRM will focus resources on just a few select individuals to maximise the ROI of social engagement. But brands will increasingly start building bridges within CRM and IRM so that they speak consistently across all touch points. In the early days of influencer marketing, many brands took a very campaign-centric approach to the practice. It was all about finding and reaching out to the influencers that could help promote a new product launch or an upcoming initiative. The results, however, from this approach were disappointing. Influencers didn’t respond well to “cold outreach” and response/participation rates were extremely low. Even the influencers that did agree to participate would at most provide a spike in activity at the time of the campaign, followed by a dramatic fall. Impact wasn’t sustainable. As the practice evolved, it became clear that the path to success and sustainable impact is through an ‘always-on’, relationship-centric approach. The key is to build relationships with your influencers over time and to ultimately convert them into long-term advocates for your brand. Short-term campaigns are still relevant but are being seen as strategic touch-points for further developing relationships with key influencers. Tim Baysinger in his recent article in AdWeek ‘4 Things Brands Can Do to Make Influencer Marketing Work for Them’ highlighted growing long-term relationships as a key success factor and will help generate authenticity and genuine engagement with the audience. Both Stanislas Magniant, Coca-Cola’s Online Communications Director for Western Europe and Andrew Grill, Global Managing Partner, IBM Social Consulting & former CEO of Kred highlighted the importance of IRL at a recent conference we organised in London. We couldn’t agree more! Even though the relationship can start online, meeting your influencer in real life is key to building genuine and authentic relationships. 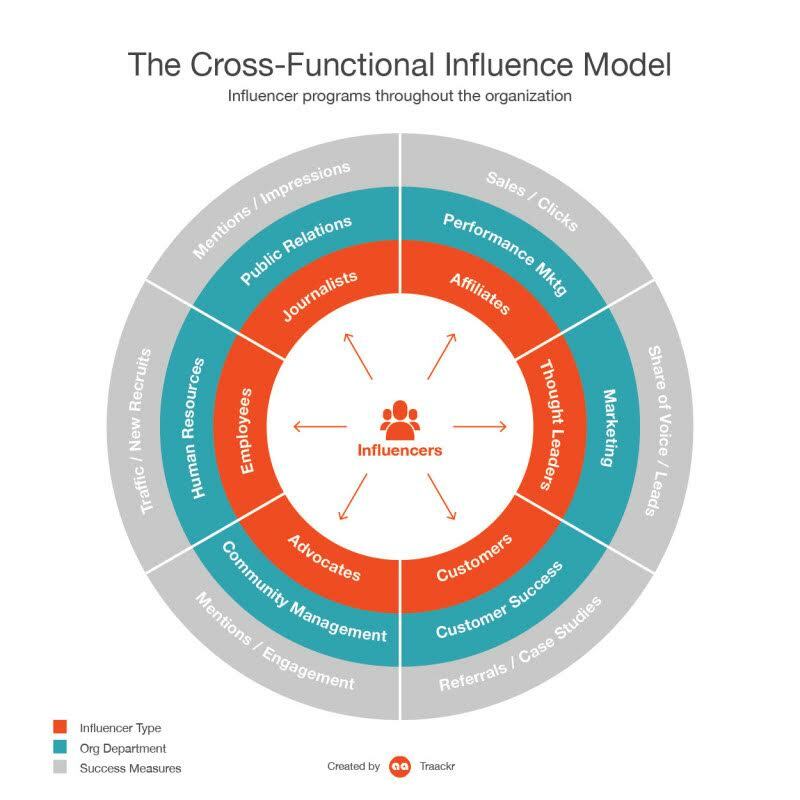 Influencer marketing in 2016 is about becoming more measureable, more strategic, more closely aligned to the bottom line, and integrated across all commercial functions, in particular CRM. These are what we think are the main trends that come to the fore and affect influencer marketing in 2016. Do you agree? Do you see more? Are you jumping on the influencer marketing bandwagon? 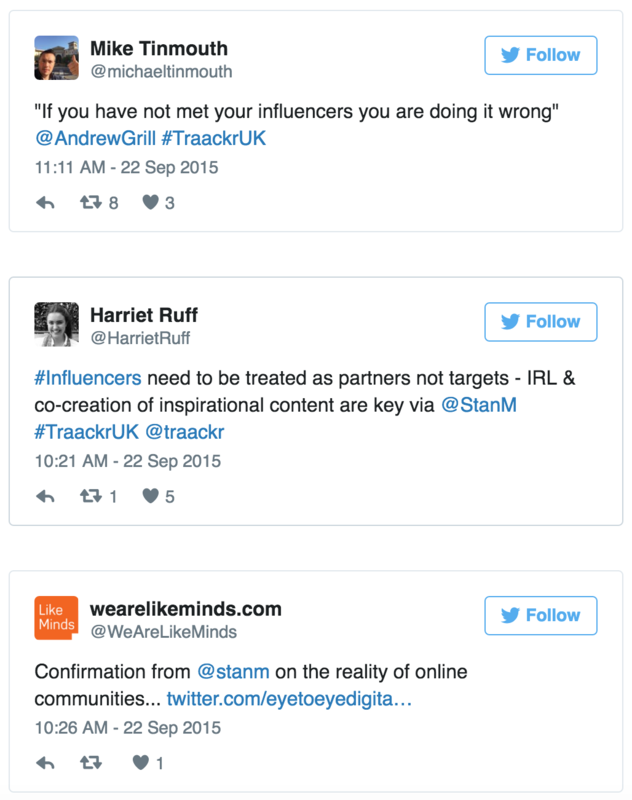 Make sure you conquer the top 3 hurdles of influencer marketing in 2016.